GENEVA -- The death rate in the Ebola outbreak has risen to 70 percent and there could be up to 10,000 new cases a week in two months, the World Health Organization warned Tuesday. WHO assistant director-general Dr. Bruce Aylward gave the grim figures during a news conference in Geneva. Previously, WHO had estimated the death rate in the current outbreak at around 50 percent. Aylward said the 70 percent death rate was "a high mortality disease" in any circumstance and that the U.N. health agency was still focused on trying to get sick people isolated and provide treatment as early as possible. He told reporters that if the world's response to the Ebola crisis isn't stepped up within 60 days, "a lot more people will die" and there will be a huge need to deal with the spiraling numbers of cases. For the last four weeks, there have been about 1,000 new cases per week -- including suspected, confirmed and probable cases, he said, adding that the U.N. health agency is aiming to get 70 percent of cases isolated within two months to reverse the outbreak. WHO increased its Ebola death toll tally to 4,447 people on Tuesday, nearly all of them in West Africa, from 8,914 cases. 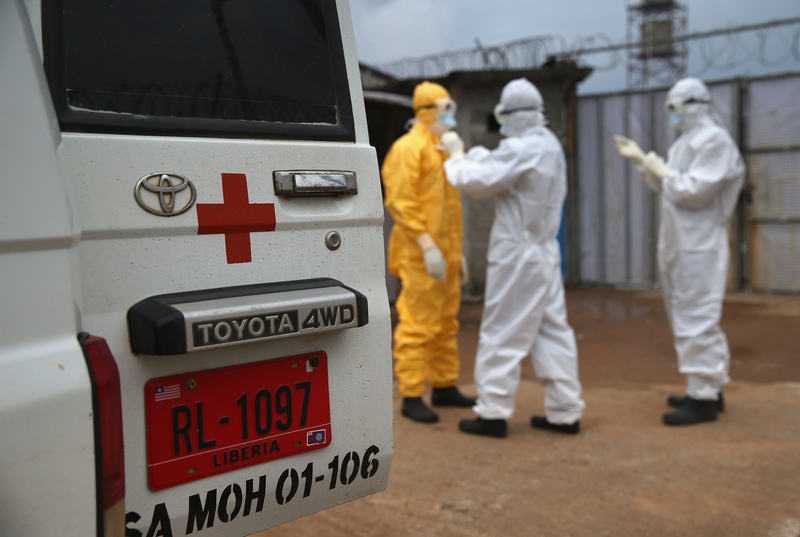 Sierra Leone, Guinea and Liberia have been hardest hit nations in the current outbreak. Aylward said WHO was very concerned about the continued spread of Ebola in the three countries' capital cities -- Freetown, Conakry and Monrovia. "It would be horrifically unethical to say that we're just going to isolate people," he said, noting that new strategies like handing out protective equipment to families and setting up very basic clinics -- without much treatment -- was a priority. There have been just two Ebola cases diagnosed in the U.S. to date. Thomas Eric Duncan, a Liberian man who was infected in that country and got sick after he arrived for a visit in Texas, died at a Dallas hospital Oct. 8. One of the nurses who cared for him, Nina Pham, was infected in the process and is currently undergoing treatment. Several other health care workers infected in West Africa received treatment in the U.S. and recovered. In Spain, officials said a nurse's assistant who contracted Ebola while caring for a missionary priest at a Madrid hospital remains in serious but stable condition. In Germany, officials said Tuesday that a U.N. medical worker infected with Ebola in Liberia died despite "intensive medical procedures." The St. Georg hospital in Leipzig said the 56-year-old man, whose name has not been released, died overnight of the infection. The man tested positive for Ebola on Oct. 6, prompting Liberia's U.N. peacekeeping mission to place 41 other staff members under "close medical observation."